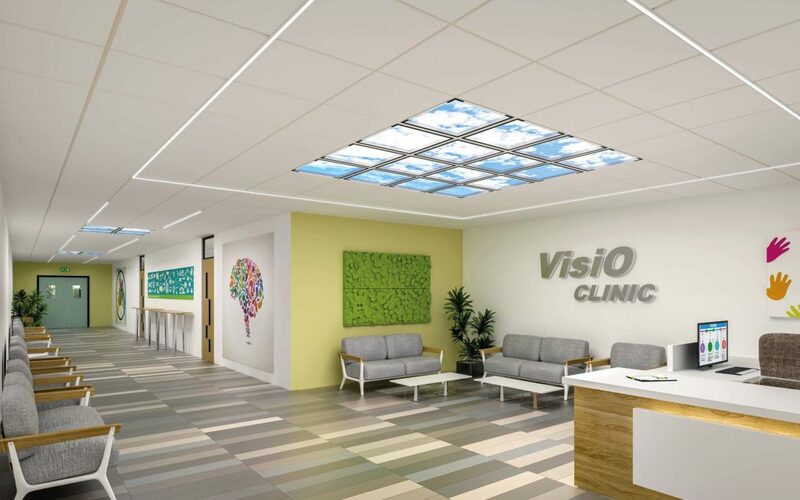 Manufactures commercial lighting systems and boasts a long-established reputation for high product quality, leading technical innovation and top customer service. Board led by veteran executive and assisted by family management that continues to enjoy 50%-plus shareholding. Conservative accounts offer asset-flush balance sheet and illustrious rising dividend. November’s AGM statement had already predicted these half-year figures would show operating profit down 10%. The results did indeed reveal operating profit down 10%, with revenue 1% lower. Exclude the purchase of Famostar, and revenue would have dropped 8% while operating profit would have dropped 15%. “Challenging trading conditions” at Thorlux, the group’s main division, were cited for the shortfall. Management comments within the 2018 annual report (point 1) hinted that the collapse of Carillion may have affected orders. Brexit was also cited for “business confidence” having yet to return to “more normal levels”. Recent trading has thankfully improved. Orders at Thorlux have apparently rebounded to “record levels”. The only first-half number making positive ground was the dividend, up 2%. TFW’s divisions delivered very mixed performances. Thorlux’s revenue and profit dived 12% and 22% respectively. The subsidiary represents approximately 60% of the entire group. Thorlux’s £4.7m profit was the division’s lowest for six years. Thorlux’s 16.4% first-half operating margin was the division’s thinnest for at least 10 years. Thorlux has typically converted 20%-plus of revenue into profit. Progress at Lightronics was mixed. Revenue gained 16% but profit fell 3%. The Dutch subsidiary appears to be winning less-profitable orders — its margin was just 9%. 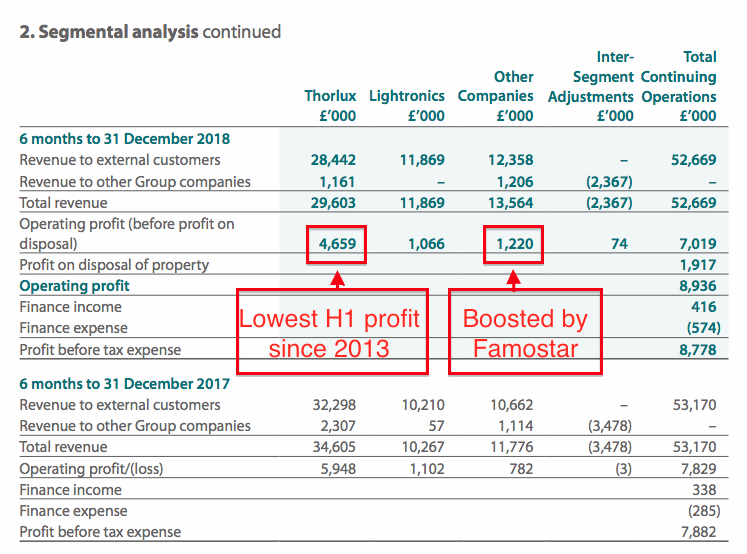 Following initial stellar progress, profit at Lightronics has now stagnated since 2016. Attempts to sell Thorlux equipment through Lightronics have yet to really succeed. TFW’s seven smaller divisions delivered aggregate revenue down 18% but profit up 3%. The downturn at Thorlux and the lower-margin Lightronics revenue left the wider group margin at just 13% — the lowest since at least 2007. At least TFW’s balance sheet remains super-impressive. Cash in the bank has surpassed £50m for the first time to reach £53m. 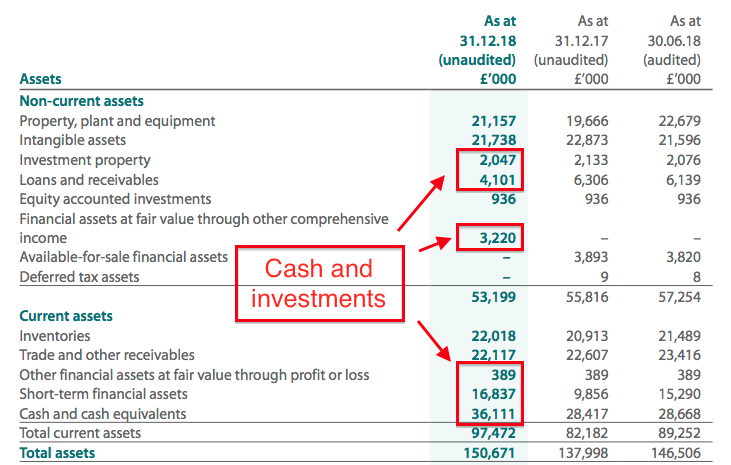 Cash flow was assisted by a £3.8m property disposal and a £2m receipt from a loan note (point 17). First-half expenditure on tangible and intangible items was covered by the depreciation and amortisation charged against earnings. Working-capital movements released £2m, which supported total cash generation of £12m before dividends of £4.6m. Balance-sheet assets also include a £2m investment property, a £3m share portfolio and £4m of loan notes. TFW’s major liabilities are acquisition-related earn-outs that total £11m. Net cash and investments is therefore arguably £53m plus £9m less £11m = £51m, equivalent to 44p per share or 14% of the current market cap. Management has never really explained why such a high level of cash is hoarded. Acquisitions seem a likely reason. The purchase of Dutch firms Lightronics and Famostar have cost the group £13m to date. Surplus cash could also reassure customers and suppliers that, during recessions, orders will still be completed and bills will still be paid. Could another special dividend be declared? Special payouts were distributed during 2014 (1.5p per share) and 2016 (2p per share), when my calculation of net cash and investments stood at £40m. A £51m net cash/investment position is by no means the worst problem to face in the stock market. TFW’s defined benefit-pension scheme remains in surplus and current ‘catch-up’ contributions are only £160k a year. Supported by the aforementioned upturn at Thorlux, current trading conditions are “more buoyant than… previously predicted” and a “strong finish to the year” is now anticipated. A new lighting range that will “reinvigorate the workplace” may soon derive extra sales. Meanwhile, orders for wireless lighting control systems “rocketed” last year (point 1) and I dare say may continue to do so this year. Example data from TFW’s Smartscan lighting system. Various other product innovations and factory upgrades are underway that may also support future progress. TFW still reckons underlying operating profit for 2019 will not match that reported for 2018. The trailing twelve-month operating profit is £18.4m. The 2018 operating profit was £19.2m. 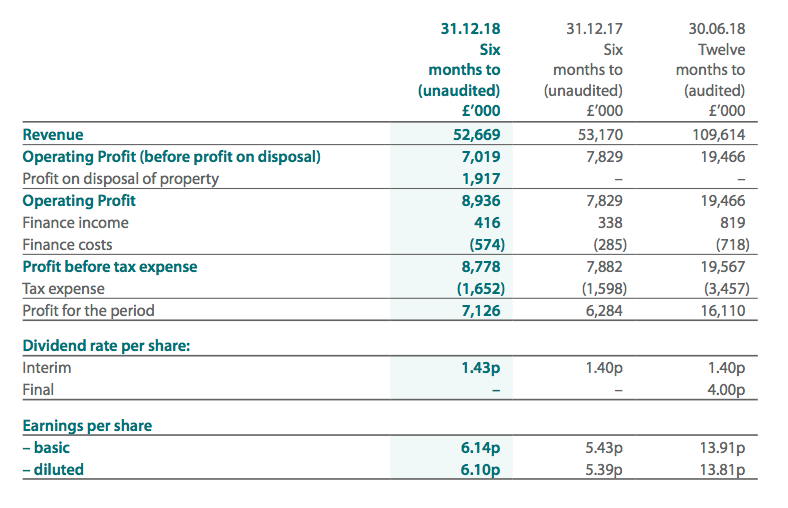 Applying the 19% tax applied in these results to the trailing £18.4m operating profit gives earnings of £14.9m or 12.8p per share. Subtract the 44p per share net cash position from the 320p share price, and the underlying P/E could be 21. 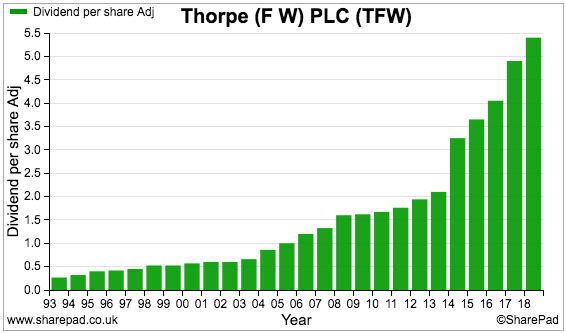 The 21x multiple appears optimistic given revenue and profit have come to a standstill. Nonetheless, perhaps TFW will extend the “strong finish” of this year right through into 2020 — with earnings growth amplified as higher revenue leads to a margin rebound. The 2% interim divided lift gives a trailing 5.43p per share payout and a meagre 1.7% income. Assuming the final payout is not cut, the 2019 results will deliver TFW’s 17th consecutive annual dividend increase. Great article we meet briefly at London Mello we spoke about Andrew Sykes and Fulham Shore not if you remember . Can you please tell me how to work out the 44p per share bit ? Yes, I remember. You featured on a conkers3 Mello video, so I then matched the name to the face :-) Hopefully the debts and leases won’t prove a problem at FUL, but if earnings do wobble then problems could occur. I should know — I own shares in TAST. The 44p is calculated by dividing the £51m by the number of TFW shares in issue. I used 116,120,658 as per this RNS which gives £51m/116m = 44p.